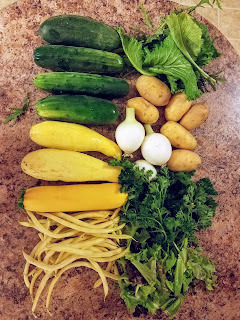 It's another CSA week for us, I've been pretty good about anticipating some of our basket ingredients and purchasing additional ingredients for recipes ahead of time. This week I was sure that we would get more zucchini and asked Dave what type of zucchini recipe he wanted to try. 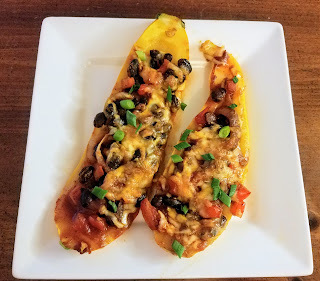 When we first moved in together we made several varieties of stuffed zucchini and he suggested trying something like that again. 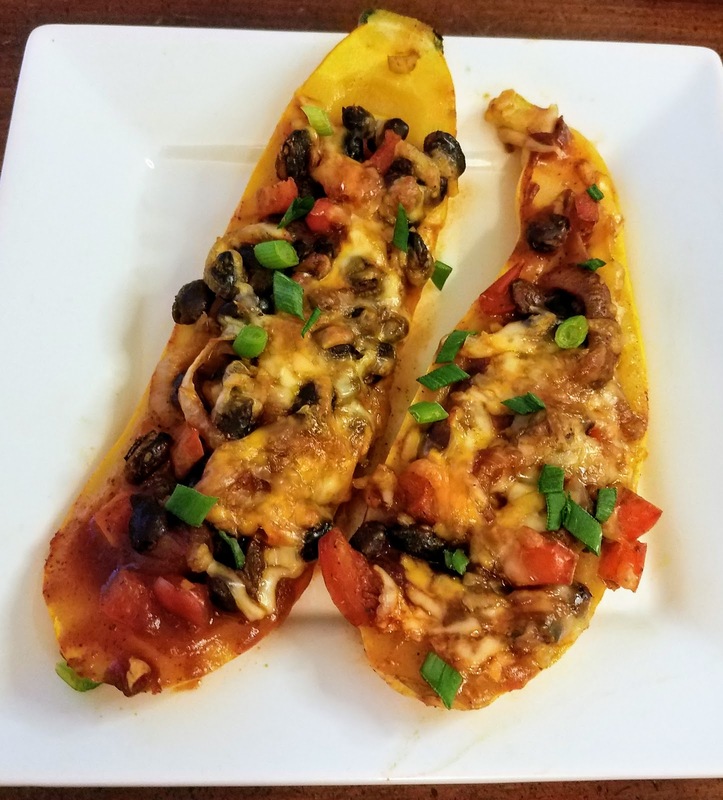 Enter these enchilada zucchini boats -- they were easy to make, used all of the zucchinis from our share, and tasted delicious. I thought this was a great low carb way to enjoy enchiladas and we already had most of the ingredients on hand. This is something I would certainly make again for an easy weeknight dinner. Recipe from Food with Feeling. Preheat the oven to 400 degrees and lightly grease a 9x13 baking dish. Cut the zucchinis in half long ways and gently scoop out the inside of the zucchini so that the shell is about 1/4 inch thick. Discard the seeds/insides. In a medium skillet over medium heat add cooking spray or a small amount of oil and then saute the onion and pepper for 5 minutes. Add the garlic, cumin, oregano, paprika, and salt then cook for an additional 2 minutes. Add in the black beans and cook for an additional 3-4 minutes. Place all of the zucchini shells into the prepared baking dish and then evenly spoon the black bean mixture into each shell. Top the zucchinis with enchilada sauce and cheese.